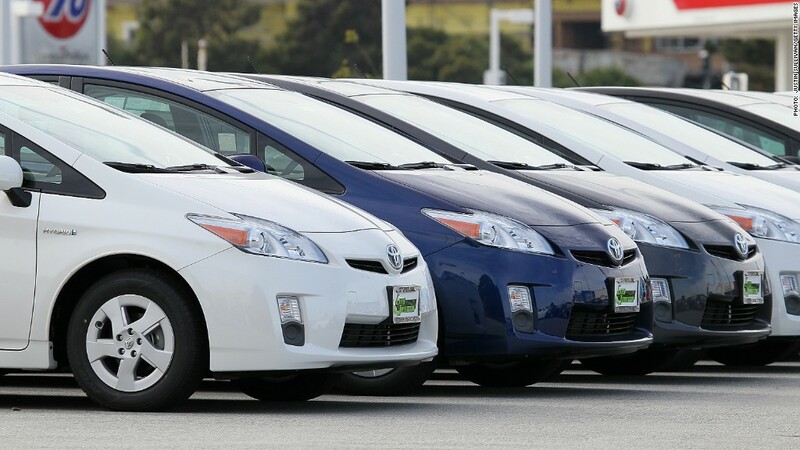 A braking problem on some hybrid cars is behind Toyota's latest recall. Toyota is recalling nearly a quarter of a million vehicles because of a braking problem. The Japanese automaker said Wednesday the global recall would affect 242,000 Prius and Lexus hybrid cars made between March and October 2009. Toyota (TM) said it had received more than 90 complaints from drivers who said they needed to step more heavily on the brake pedal than they were used to. A spokeswoman said a flaw was allowing nitrogen gas to leak into the brake fluid, reducing the effectiveness of the brakes. There were no reports of accidents or injuries, she said. Most of the cars affected are in Japan, where 117,000 vehicles are being recalled, followed by 91,000 in North America, 30,000 in Europe and smaller numbers in other markets. Toyota Motor Sales, U.S.A., Inc., said it would inspect the brake booster pump assembly on recalled Prius and Lexus HS 250h vehicles and replace it if necessary. Toyota has been struggling to repair its reputation for reliability and safety after a series of recalls affecting millions of vehicles in recent years. In April, Toyota said it was recalling 1.7 million cars around the world, including some popular Corolla, Matrix and Tundra models, due to problems with airbags. Last October, the world's biggest automaker recalled over 7 million cars because of a power window problem that posed a fire risk.